Give Stone and Brick a natural looking gloss shine this summer. 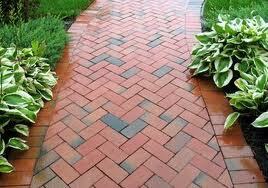 leaves a natural shiny finish appearance on Paving slabs, patio slabs, rough stone, slate, Brick, limestone, etc.... Choice of Standard and High Traffic. For sandstone we recommend High Traffic. If your stone is newly laid allow salts to come out before applying the sealer. Apply with a brush or roller and allow to dry, Leaves a natural looking hard wearing shiny protection finish. The ideal way to brighten up your stone. Picture of Chinese slate on left. Step 1 Stone must be clean and dry. 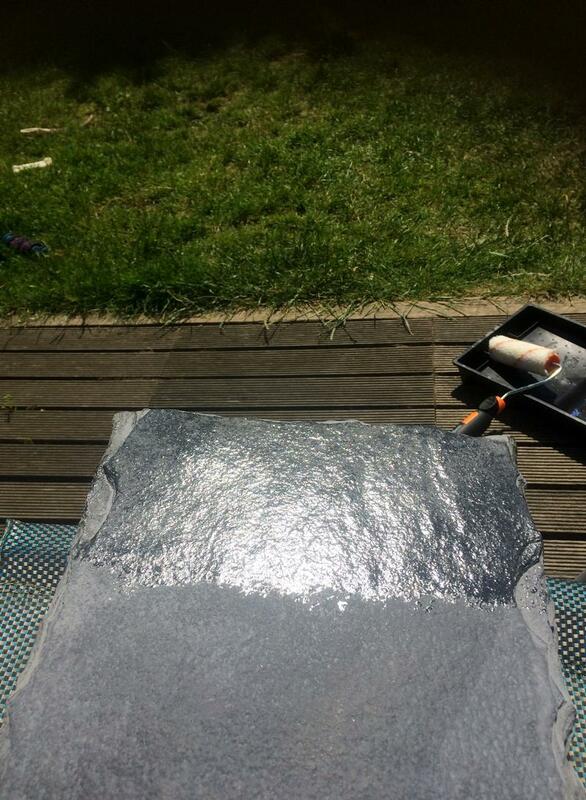 Be sure to work the first coat into the Stone so the sealer penetrates onto the tile. Do not apply too thickly otherwise will not dry clear. 3 When touch dry apply a second light coat with brush or roller and let dry over night. Allow 24 hours for the surface to cure. Light walk on traffic 4 hours. Extra coats will add to the depth of shine. For use only on unpolished stone; above directions apply. DO NOT LET PUDDLE ! If left to puddle; sealer will not dry clear. 1 litre covers 8 to 15 sq metres. Available in 1 and 5 litre. Choice of Ultimate Gloss and High Traffic Gloss. 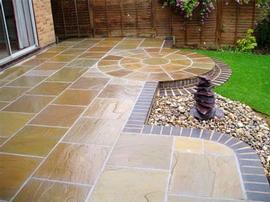 If the stone is greasy and dirty clean with pre sealer cleaner. 1 litre covers upto 50 sq metres. To maintain your sealer we recommend After care cleaner.